More international investors at the late seed/series A stage of investment. This is a trend we have seen in recent years, indicating that investors outside of Ireland continue to see Irish companies, across a whole range of sectors, as a good investment opportunity. Private investors are still investing (participating in all deals we were involved in), but not a single one of them availed of the tax relief available to them through the EII scheme. This is the first year we have seen this and it’s a worrying statistic. The key word in the Employment & Investment Incentive Scheme seems to have been forgotten along the way by the powers that be. Let’s hope the recent changes to the EIIS will see this turnaround in 2019. 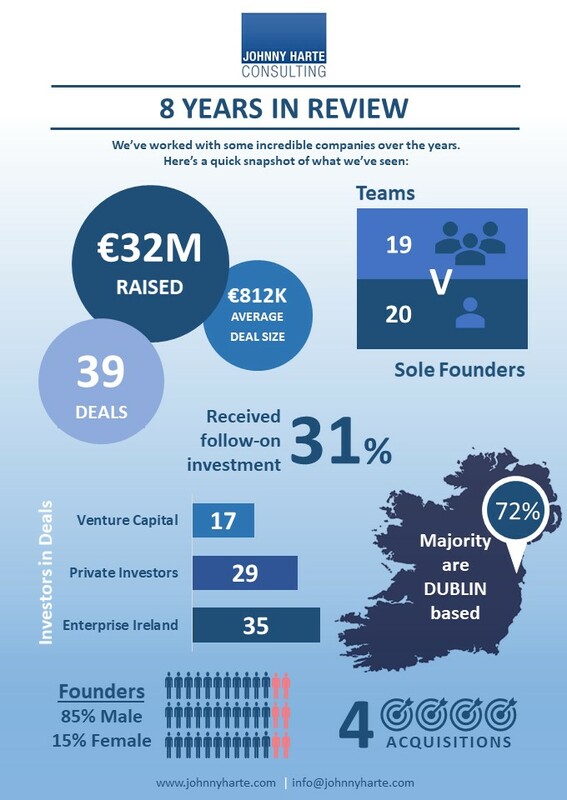 Companies continue to look at alternative sources of funding, such as equity crowdfunding, so it’s great to see this opening up more to Irish companies, through platforms both here and in the UK. Managing the cash that flows in and out of your business is an important part of the finance function and is one of the key components that could be the difference between success and failure of your company. For many, the CFO in a company has long been considered as the bean-counter (albeit the chief bean-counter). And in the past that’s been true. CFOs are nearly always accountants with responsibility for the core traditional finance function in the company – financial statements, monthly management accounts, cash management, compliance, that sort of thing. So it’s a highly specialised and professional role that requires the individual to be qualified and experienced. GDPR is coming - are you ready? In January 2018, the Irish SME Association (ISME) released the results of a General Data Protection Regulation (GDPR) survey it undertook with its members. It made for interesting reading. Why? Well it appears that while 83% of the 507 respondents are aware of GDPR and 76% are concerned about it, only 30% have identified the actions they need to take, and even less - just 7% - have completed their GDPR plan. ThinkBusiness is Ireland’s number one business reference site. It’s for business owners and managers at every step of their journey. I'm a member of Chartered Accountants Interim Managers (CAIM), a sub-group within Chartered Accountants Ireland. It's a professional network of independent accounting/finance experts who are subject matter specialists with deep sectoral knowledge.